Gather round, fiber friends. Jump up and microwave a mug of cold coffee, and then settle in for a spell. 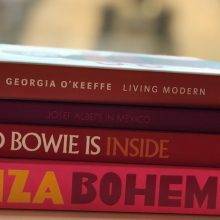 It may still feel like summer where you are (and as Ann points out, summer’s official end is still weeks away), but September has blown in, with even more than its usual bounty of books that are of interest to knitters. I’ve gotten the chance to lay eyes on a few of these titles, and others have blipped onto my radar more recently, but are Very! Intriguing! As always, there may be a title here or there that has been out for a while, but escaped my notice until now. Honestly, I need a moment. Rowan means so much. Here’s to the next 40 years. 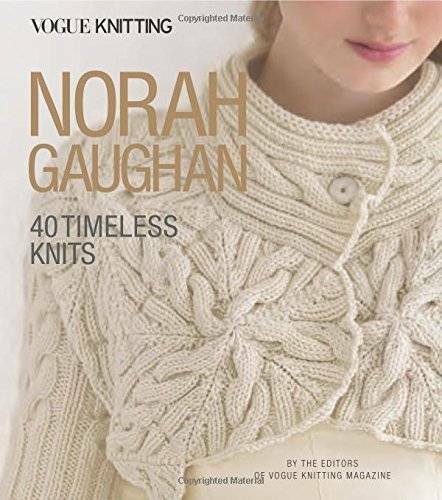 Here’s an incredible fact: Norah Gaughan has been designing for Vogue Knitting magazine for 30 years, in which time she has contributed over 120 designs. That would be plenty impressive even if they were conventional knitting patterns, but they’re not. The inventiveness packed into those 120 patterns causes the knitterly mind to perform gymnastics. 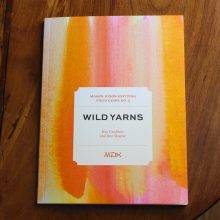 Producing a single volume gathering up 40 of these designs is a gift to knitters from the editors of Vogue Knitting. Thank you, VK! 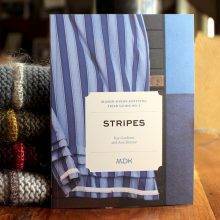 In her first-ever book, Melanie Berg collects the wildly popular shawls and wraps for which she is known, and adds in a few new ones. 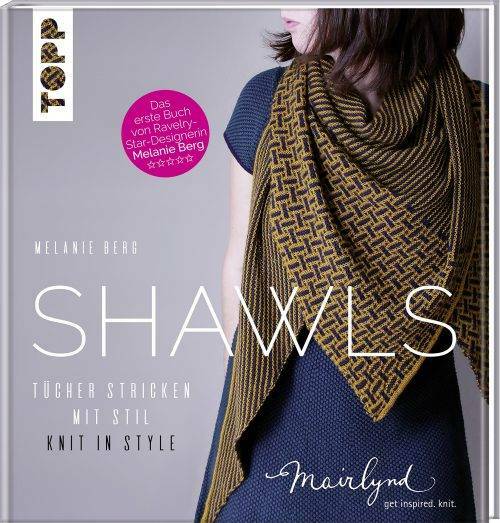 The book is bilingual (German and English), so you can tücher stricken mit stil in addition to knitting shawls with style. 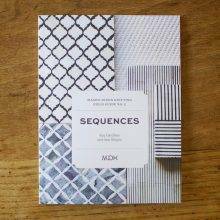 I hope this is a trend: books that collect patterns by beloved designers in one volume. Back to the future! Not About Knitting But . . . If your Instagram feed strays from Strictly Knitting into other beautiful areas of handmade endeavor as much as mine does, here are two recent titles that may make your fingertips tingle. You may not think you know Jen Hewett, but if you’ve coveted a special-edition print Fringe Field Bag, you’ve coveted Jen Hewett’s beautiful block-printed work. My own Fringe Field Bag is plain vanilla canvas, but one year I succumbed to Jen’s tea towel of the month club, an indulgence in beauty that I do not regret. (Yes I’m saving them in their cello sleeves for an Epic Textile Project. They spark joy!) 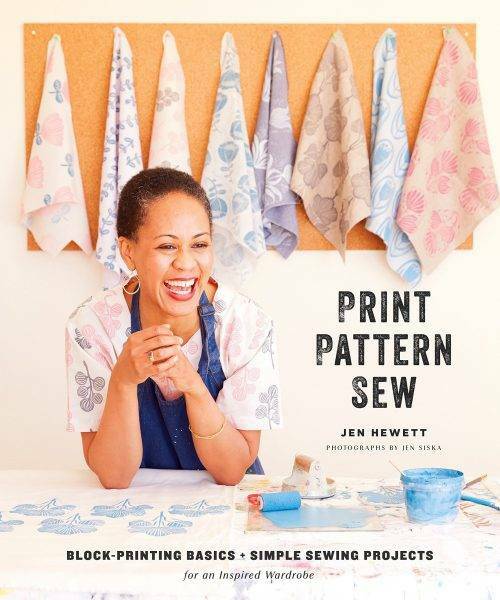 This book is an introduction into how Jen Hewett does what she does, so you can try your hand at it, and get some cool wardrobe pieces in the process. 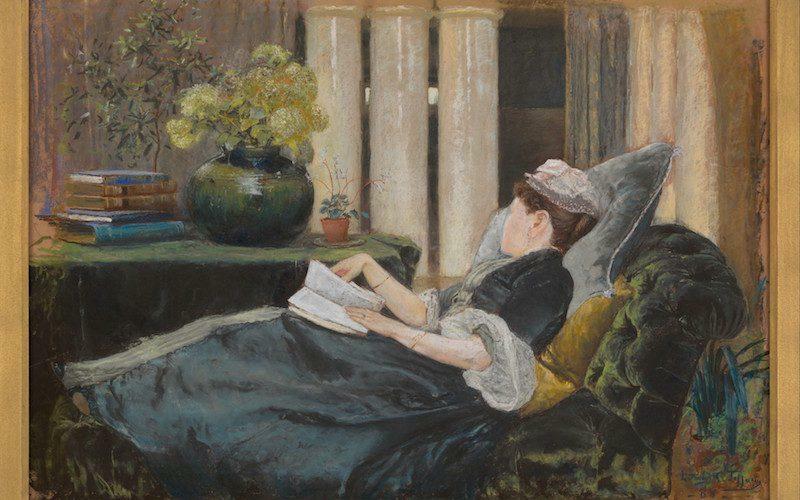 featured IMAGE (top): LOUISE TIFFANY, READING, LOUIS COMFORT TIFFANY, PASTEL ON BUFF-COLORED WOVE PAPER, 1888, METROPOLITAN MUSEUM OF ART. Knitters and books are like peas and carrots. Ooooh, you should definitely get a kick-back from the sales of these beauties. The original Gansey book taught me so much! Back in THE NINETIES. I must get the update. I still have the tiny sample-gansey that Brown-Reinsel’s book walked me through making. What a wonderful approach (one shared by Jacqueline Fee’s equally-gratifying _Sweater Workshop_). Thanks for the heads-up about the new version! It’s so clever! I just saw a sewing tutorial where the teacher copied the patterns at a smaller size and made wee versions of adult clothing, and thought of the ganseys! 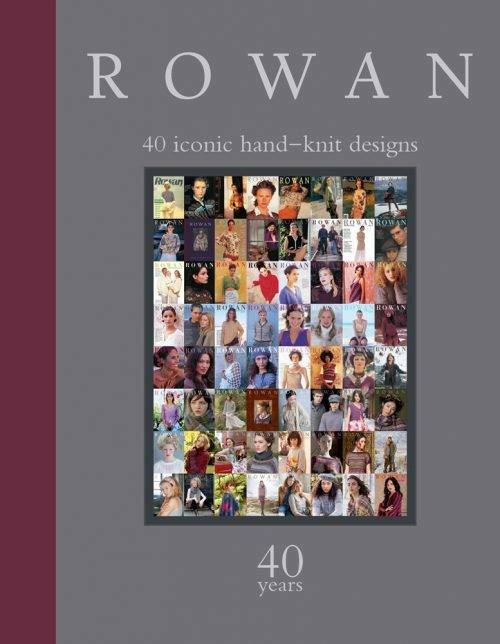 Love the Rowan book! I was a Rowan fan with issue #1, but stopped in the past five years. I must purchase this one immediately. I took an embroidery class with Jessica a year or so ago. She is an excellent teacher – clear and caring. I wish her the best with her new book. Norah Gaughan is interviewed in this week’s Fruity Knitting podcast. Great episode. 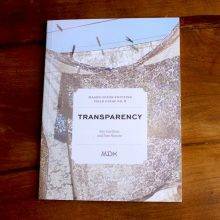 Thank you so much for including our book on this list. We are honored, and thrilled to be with such other prestigious authors. 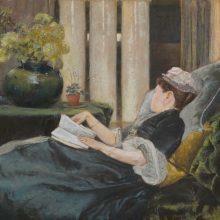 Thanks, these all look good books to peruse on a hot summer day or a cold winter one. I will check my library… maybe give them a hint to add something new to their inventory. These look like books to check out of the library and look through. The mending one looks interesting. Years ago I stopped buying books in order to get one or two patterns, but they’re certainly worth a look-through. As a fan of Jen Hewett – and one who shares her surname (no relation) – I feel obligated point out that she is a Hewett, not a Hewitt. Thank you! We need all the help we can get! Wow, what a round up. I owned the original gansey book and made 2 or 3 of them, learning a lot of technique in the process. I would recommend the new one to any novice to mid range knitter. 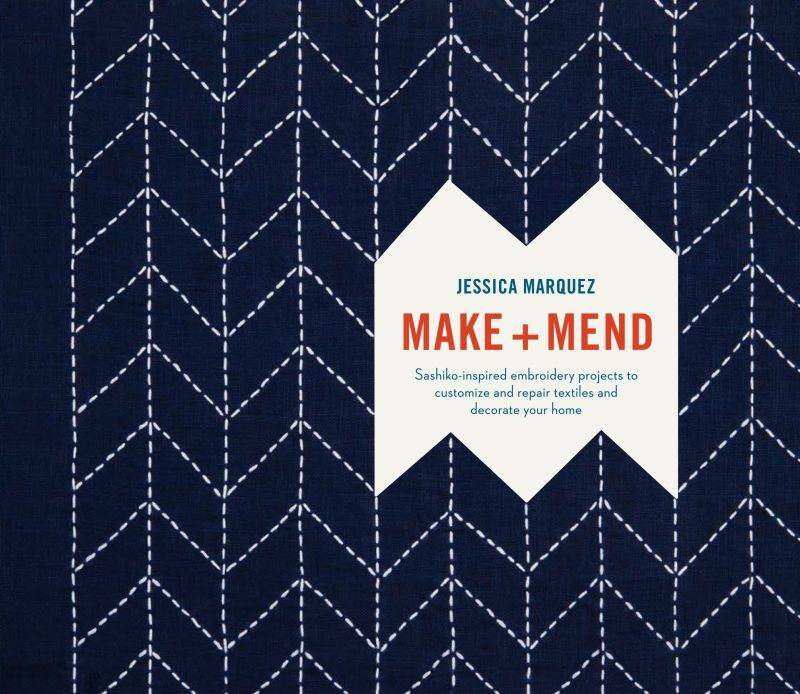 Thanks for the the Make and Mend mention; I hate sewing machines but would like to do a little sewing, not to mention mending, and the projects are beautiful. SO MANY TEMPTATIONS!! I’m so going to…well, at least go to Amazon and drool. 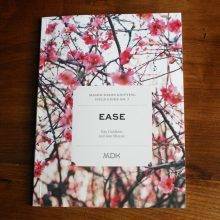 I am especially drawn to the sashiko book, like I have time, and the Rowan book, and the Nora Gaughan book, and and and. Eesh. I spy a couple that have me interested! My work pants were out in the bum, not an area I want to pull focus. I am still going to try a sashiko type mend! I love Beth’s book so much that I’ve taken the companion workshop at least twice, although I can’t find either of the tiny little sweaters I knit. It sits on the shelf next to “Patterns for Guernseys, Jerseys & Arans” by Gladys Thompson, where it will reside until I break up housekeeping here and they haul me off to the nursing home. I’ve had the Beth Brown-Reinsel’s new gansey book for some time now. I haven’t studied it but I did go through page by page and I love it. I desperately want to make a gansey but keep getting distracted by other knitting. 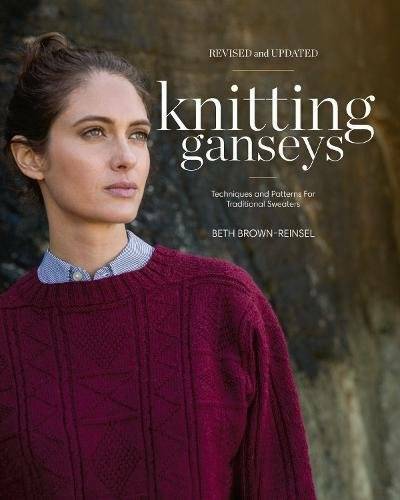 I’ll definitely use this book when I design and knit my gansey. Highly recommended. I’m psyched to see the updated gansey book. The original is iconic and crucial and important but I admit to being distracted by the dated fit and styling! The other trend – besides that of collecting designs by a single creator – that I hope will flourish is that of the bilingual craft book. I have the Swedish and English “Bohus Knitting – the Revival”, and it’s outstanding. So much fun to try to learn at least a bit of another language with the side-by-side text. Now I’ll look forward to Melanie Berg’s collection with doubled interest. (As for Gaughan’s collection, I have the entire run of VK since 1982, so I’m covered there). Exactly what I was thinking – I love the idea of a dual language craft book. It’s fun to expand your vocabulary in another language to include craft terms, or be able to follow a pattern in another language. Looking forward to seeing the Berg book, and finding the Bohus book you mentioned. I have to confess the Rowan book left me a bit cold. I was looking forward to it, but when I flipped through it at the bookstore, I really didn’t see much I would want to make. Had to face the true fact that I am more of “A Yorkshire Fable” fan than an “Iconic Rowan” knitter. 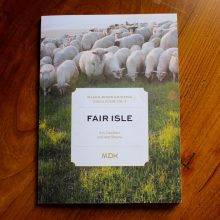 But happily, Yorkshire Fable is in my collection, and iconic Rowan remains at the shop for some other happy knitter to take home. TRUTH! My jeans never need mending in a cute place, either! Mine either! And I have gone to the trouble of learning to do all these beautiful mending stitches….. Using sashiko stitching, I’ve mended two pairs of jeans for a dear friend. And in places not cute! Only she and I know where these beautiful patches are. But that’s okay. She couldn’t bear to part with them and now they have a new life! Thanks for this, Kay. Nora, Melanie, Jan–all very inspiring. 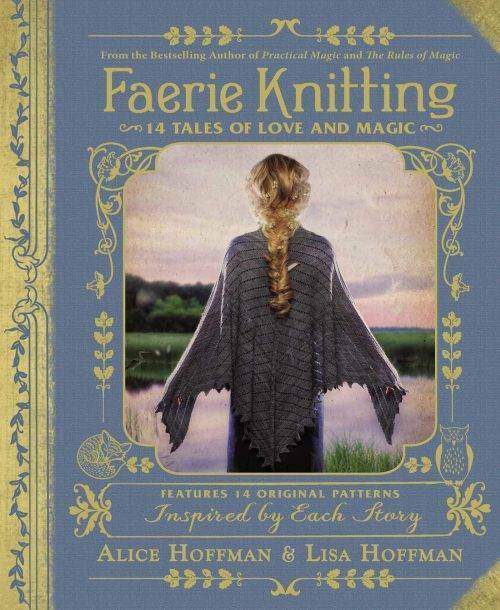 I’ve sworn off adding more knitting books to my library, but I might break my own rule for one or three of these. I’ve been doing the same for the Santa Clara County Library. Win-win, for the authors, myself and local crafters.